My grandmother, a feisty woman who insists that she is only 80 years young, has always been very sharp and up and about. She loves doing her own chores, running around her great-grandkids, and traveling with her girlfriends who have been her support system for ages. Lately, though, I had begun noticing a slight but perceptible decline in her cognitive abilities. A woman who never forgot any special occasions before suddenly started missing a few birthdays here and a few anniversaries there. Then she started being absently minded about things around the house like where she had left her dog’s leash, what she ate for lunch that day, and where she stored her usual supply of candy for the kids. I was concerned and instantly turned to the fountain of information that most youngsters like merely on these days for all types of data – the world wide web. I scoured the internet for days and came up with a list of natural remedies as well as prescription drugs that claimed to be fantastic at reversing age-induced cognitive dysfunction. The one thing that stood out amongst all others was an innocuous natural polyphenolic pigment known as curcumin which is found in turmeric. Curcumin is excellent at warding off memory alterations that come with age. By stimulating the production of specific chemicals and proteins that are responsible for the sustenance of neurons, curcumin ensures that the neural function continues to be smooth despite increasing age. It is also known to significantly contribute towards enhancing learning abilities as well as spatial memory. Curcumin has antioxidant properties that help keep oxidative stress at a lower level. As a result, there is no chronic inflammation in the body, a phenomenon that exacerbates the degeneration of brain cells if it continues unchecked for too long. By balancing out the pro and antioxidant species in the body, curcumin helps protect brain cells and ascertain their healthy growth. Curcumin reduces the chances of amyloid beta aggregation and hikes up the production of natural enzymes that are responsible for disintegrating plaque deposits in the brain. As a result, memory improves. Similarly, curcumin heightens the production of a protein known as BDNF or Brain-Derived Neurotrophic Factor which is very essential for the overall wellbeing of the nervous system. Memory loss and the onset of neurodegenerative diseases could also be a result of chronic stress. By consuming curcumin regularly you can ensure that your body is producing sufficient amount of neurotransmitters like serotonin and dopamine that keep you calm and happy. The long term effect of this is that your brain and your nervous system, both, stay healthy and hearty for long. 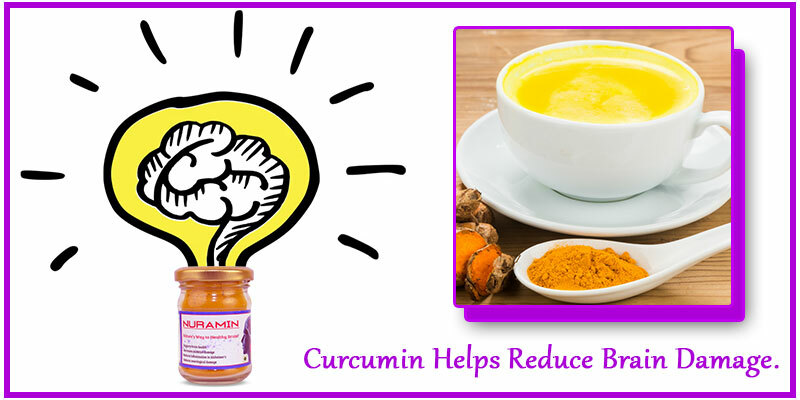 Curcumin has a neuroprotective effect on the brain. It shields the brain from toxic substances that we get exposed to in the environment we live in on a constant basis. For instance, in both sulphite toxicity and aluminum toxicity, curcumin helps reduce brain damage. Nuramin, a curcumin-based supplement created by Bagdara Farms in Katni Madhya Pradesh is the best supplement that you can give your elderly relatives or friends as it is made using pure and organic curcumin that has no chemical residues or adulterants in it. 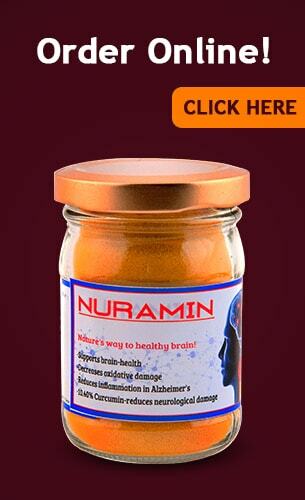 Grown in the lap of nature, the quality of curcumin used in Nuramin is top-notch. It can do no harm to those consuming it as it is all natural and adulterant-free. I got it for my grandmother and have already started seeing a world of a difference in her. Do the same for your loved ones and never regret again!